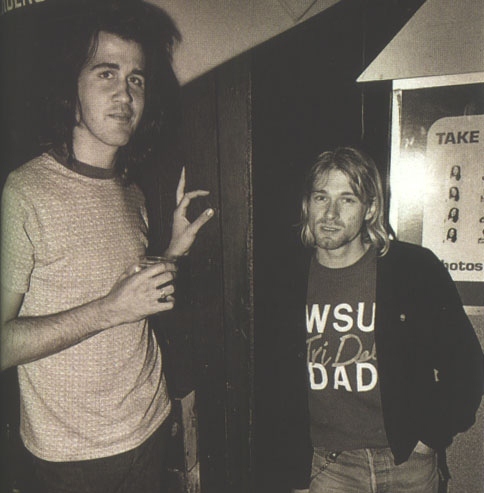 Kurt Cobain lived almost his entire life in the state of Washington, he was born in the coastal town of Aberdeen and later moved to Seattle. 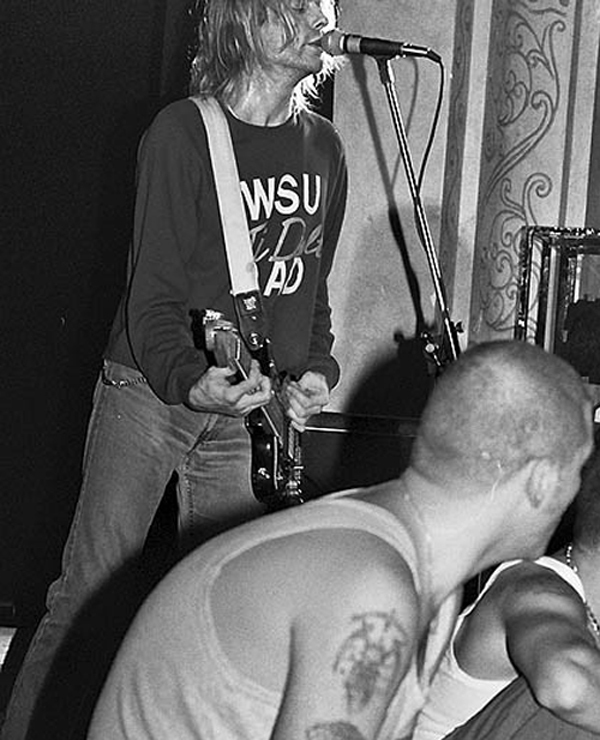 Kurt never stated his preference between the rival state universities Washington Huskies or the Washington State Cougars but we did come across this photo of him wearing a Washington State University (WSU) “Tri Delt” DAD sweatshirt live in concert on November 16, 1991 at Teatro Verdi, Muggia, Italy. 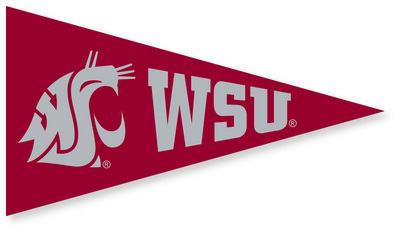 Washington State University is located in the city of Pullman which is almost 300 miles away from Seattle. 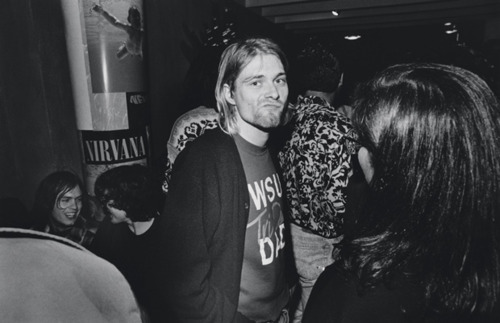 Cobain wasn’t a sports fan, he dropped out of high school and didn’t attend college and wasn’t a “DAD” to a student at WSU, so I can safely assume that this shirt was probably a thrift store pick-up. 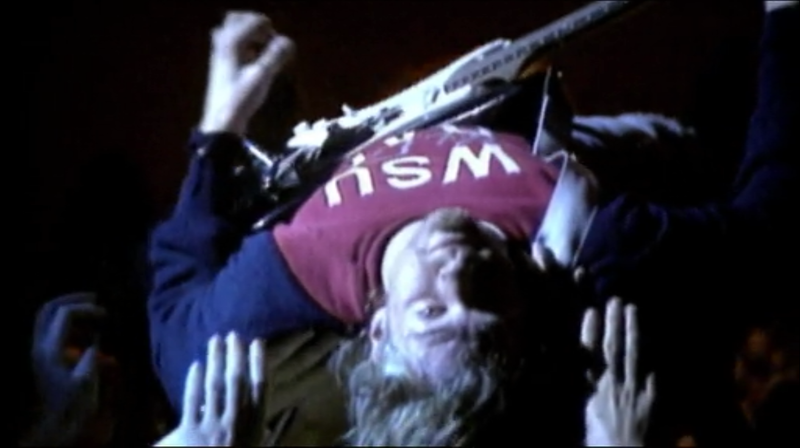 Kurt also wore the sweatshirt a month earlier at the Nirvana “Nevermind” record release party on September 13, 1991. Cougar fan or not, it’s pretty awesome bragging rights for WSU Alumni and fans.